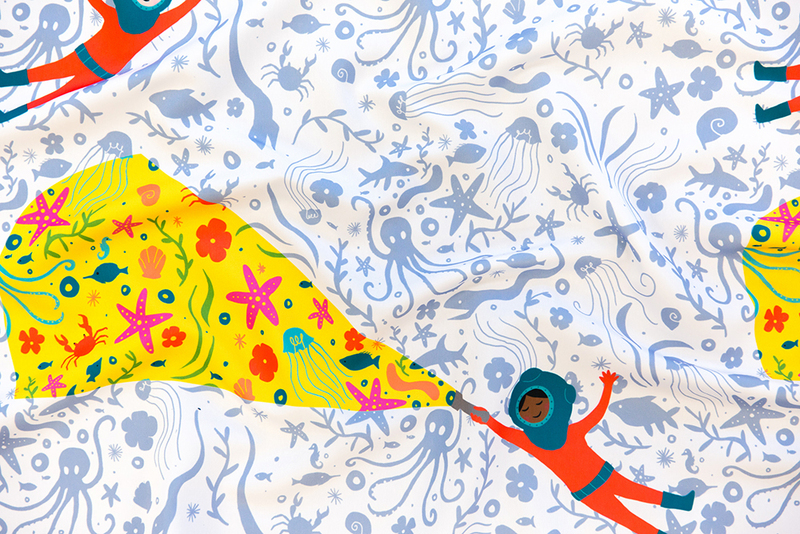 For this week’s Princess Awesome Design Challenge, we’re celebrating all the amazing things girls love, from dinosaurs to sparkles, STEM to twirling, adventure to dress-up. Need another reason to party? This is the third design challenge in a row to have a first-time winner! 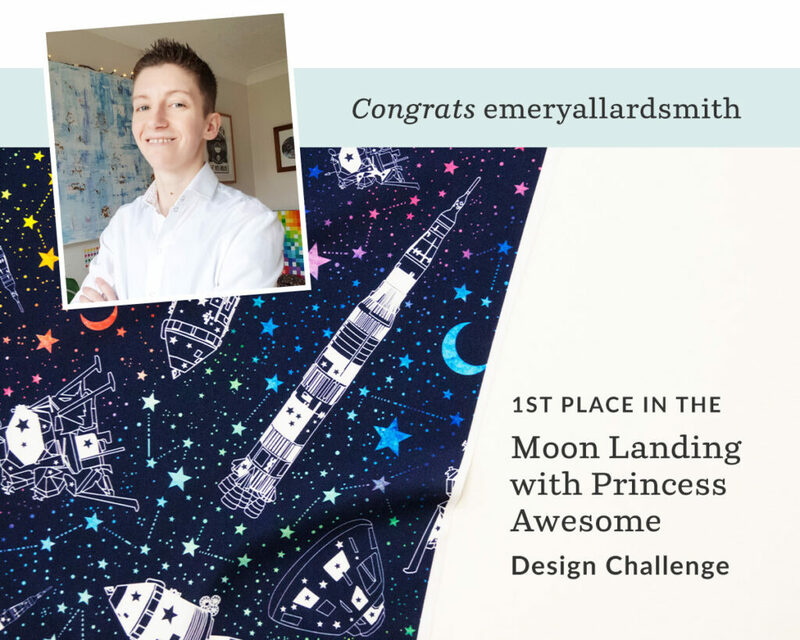 🎉 We’re more than excited to announce grand prize title-holder littleknids, who will be receiving a $200 Spoonflower credit for her inventive design, Deep She Exploration White. Larrea (of littleknids) will also receive a $500 cash prize from Princess Awesome for winning this exclusive competition. But wait! The fun doesn’t stop there—we get all heart-eyes just thinking of the sewing possibilities for the second place (katerhees) and third place (y_me_it’s_me) winning designs. 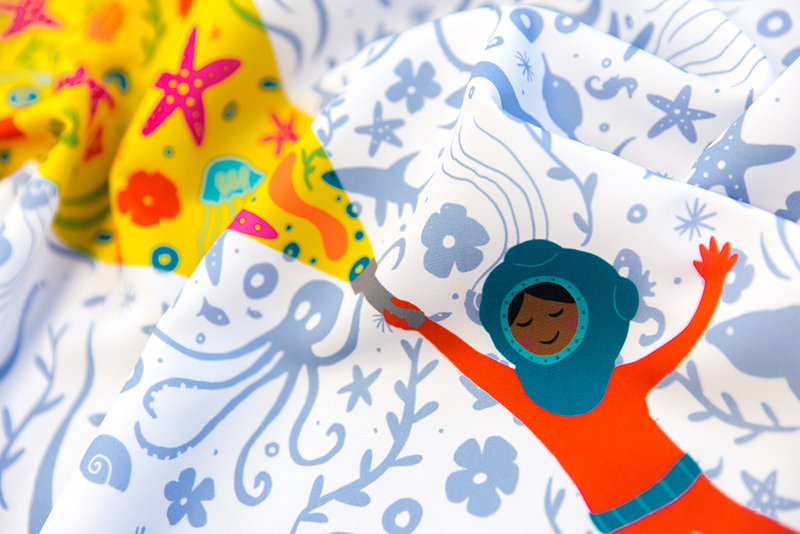 These girl-powered favorites are well deserving of their $100 and $50 in Spoonflower credit, respectively. For more fun, non-traditional fabric options for clever girls, view the entire top 10. 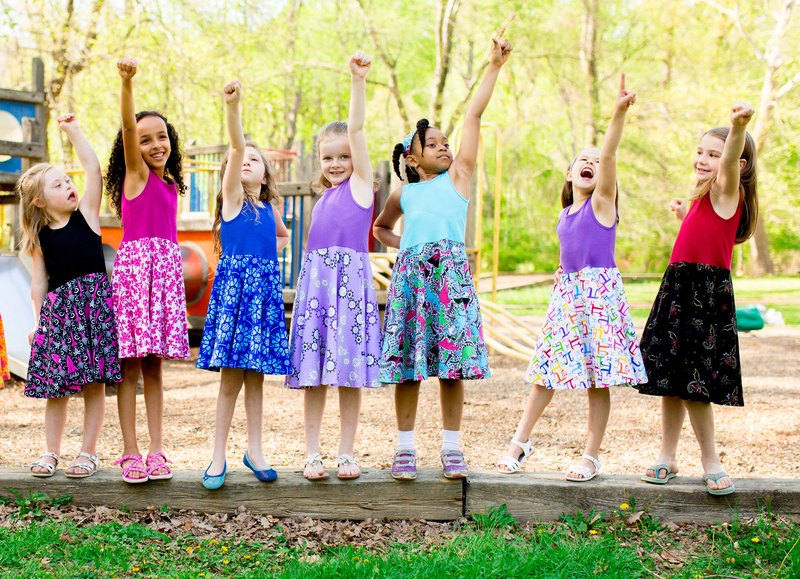 In 2013, Princess Awesome co-founders Rebecca Melsky and Eva St. Clair couldn’t find an awesome dinosaur print to make into a girl’s twirly dress. They didn’t want a print that looked like it belonged on boys’ sheets, and they didn’t just want to turn all the dinosaurs pink and put pearls on them. 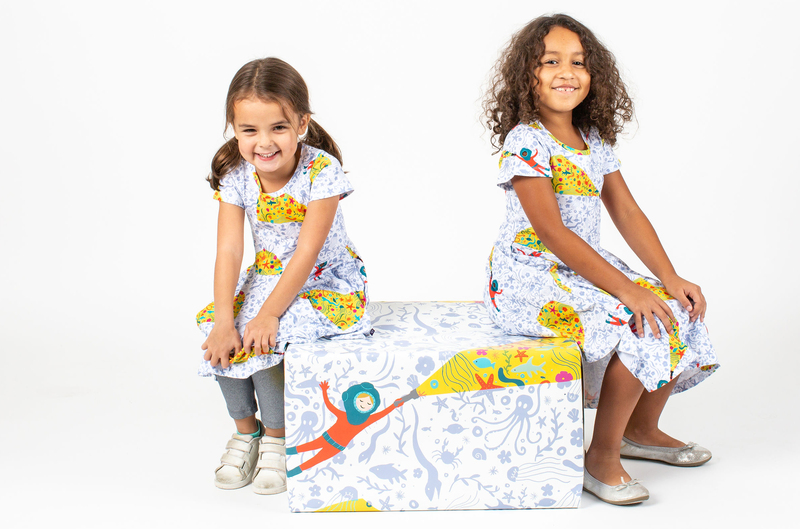 They wanted a print that was vibrant, clever, cute, and fun – so they turned to Spoonflower, and the rest is history.